Most of us do not wear cheongsam, a traditional Chinese custome on daily basis to office. 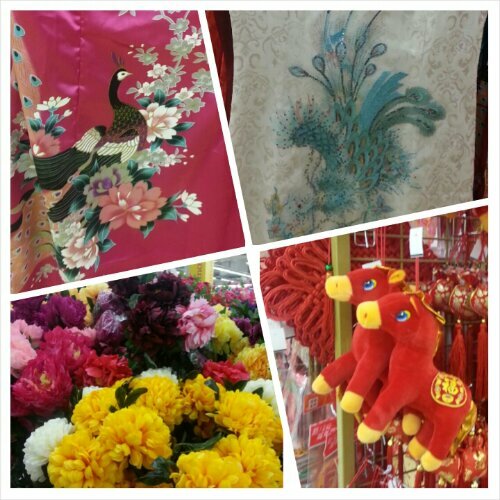 For us who, well, are not particularly rich….a nice cheongsam or CNY attire, together with Chinese New Year decos from hypermarkets. The cheongsam with peacock designs quite capture my eye. And this year, being the year of the horse ….comes with cute horse dolls decoration.